Inkle are national treasures. Well, someone’s national treasures, anyway, since I’m not a citizen of their native UK, but thank god for these guys and their ability to breathe new life into the text adventure genre so many of us adored as kids. They got my attention with their conversion of Steve Jackson’s Sorcery! series into a brilliant open-ended mobile RPG some years back (now available as a PC port), but they won my heart with their more recent Jules Verne tribute, 80 Days. 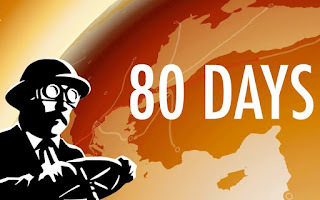 80 Days looks simple enough at first. You are the beleaguered Jean Passepartout, dragged into a globe-spanning adventure by your new master Phileas Fogg’s gambling proclivities. Turns out, though, this isn’t quite the Victorian world you remember from Verne’s novel, but one in an alternate steampunk reality where gyroscopic airships have taken to the winds, mechanical horses pull mechanical carriages across vast distances, and AI-driven automata have begun to encroach upon the livelihood of the late 19th century working class. As Passepartout you will have to chart your and your master’s course across the continents by these transit and means and more, deciding how far you will go and what you’ll be willing to do to ensure your master makes it home to London and wins his money in the eighty days allotted. Or, at least, to ensure he makes it home alive. High concept flourishes aside, it’s on the personal level where 80 Days thrives. Your adventure unfolds both on a delightfully animated globe and on a series of dialogue and city screens wherein which Passepartout can chart a course, explore the town, bargain for travel implements and services, and (more than anything) spend time talking to the colorful cast of characters he encounters on the way. I can’t stress enough just how terrific the writing of these conversations is. Sure, a few familiar faces and iconic scenes show up from Verne’s novel, but the vast majority of this content is original and utterly engaging. You are constantly choosing dialogue options that shape Passepartout’s personality and tendencies in ways unique to each playthrough, and the sheer breadth of available encounters is reason enough to keep coming back to the game and finding different routes to your destination - or anywhere else, should your Passepartout decide to take his master’s adventure off the literal rails. A core element in each of these interactions is your relationship with Fogg and just how attentive a servant your choices make Passepartout out to be. Will you head out into the New Orleans nightlife to seek transit opportunities and expand your horizons, or will you remain at the hotel to see to Fogg’s needs and secure your finances for the journey ahead? Do you take a chance with the experimental flight option offered to you by someone with whom you had a midnight tryst, or stick with the safer and slower rail route you had already planned to follow? Do you get involved in the plight of a politically persecuted group seeking to overthrow the local tyranny, or place your loyalty to Fogg’s mission about your personal morals? The narrative possibilities of 80 Days aren’t endless, but they can often feel that way, and Inkle has even added tremendous new content and destinations to the game free of charge since launch. It’s a lovingly crafted and uniquely personal experience that (at least for now) is like nothing else out there. I can’t wait to see what this team will do next, but I have a feeling I’ll still be discovering fresh and exciting things about 80 Days by the time their next title drops. If there was any doubt that director Hidetaka Miyazaki’s absence was the key element that left Dark Souls II a more hollow experience than its predecessor, albeit a technically tighter one, Bloodborne seems to clear it up. A vast gothic labyrinth of Lovecraftian nightmares, Bloodborne exchanges Dark Souls’ profound loneliness and quiet dread of the world’s end with a more visceral terror that there might be things worse than death waiting beyond. Some things have changed - combat is less a cautious duel in Bloodborne than a frenetic brawl, the Estus healing system has been replaced by an unfortunately grindy consumable alternative, and the central teleporting hub from Demon Souls makes a return - but Bloodborne retains all the best of Dark Souls’ atmospheric detail and the thrill of exploring its twisting, secret-laiden landscapes. There are a few missteps here and there, an inevitably unfair segment or two and the occasional deadly bug, but as in Dark Souls every nook and cranny (other than the optional randomized Chalice dungeons) drips with craft and intentionality. 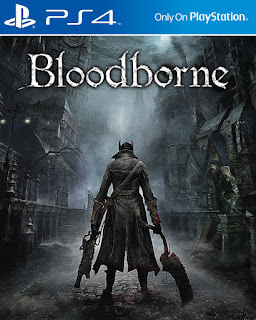 However indebted this series may be to predecessors like Castlevania and King’s Field, and despite the mixed attempts of imitators, there are no action RPGs out there at quite the caliber of Miyazaki games, and Bloodborne is as great as any other of his Souls. 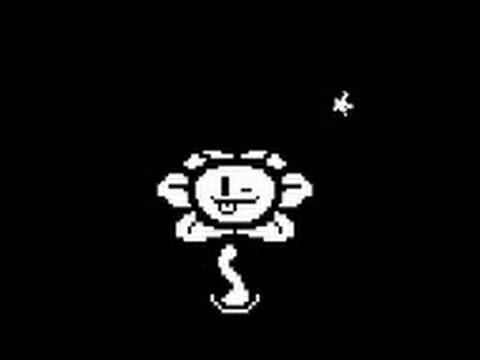 Undertale remains as difficult to talk about as the day it launched. Describing exactly what makes this little indie JRPG so much more than the simple Earthbound tribute it appears to be at a glance is almost impossible without spoiling some of its biggest surprises - especially since its first hour reflects the most tired, frustrating aspects of that game and its genre. But Undertale is more. I can sing a few of Undertale’s praises without spoilers. It’s genuinely hilarious, with a sense of humor simultaneously so broad-ranging and esoteric that it had me laughing aloud more frequently than any game last year but Tales from the Borderlands. Its characters, despite all being broad cartoonish caricatures of video game and geek tropes generally, reveal themselves to have rich emotional lives and cores so genuine it’s damn near impossible not to fall in love with all of them. Its bullet hell combat, while challenging to the point of frustration at times, keeps encounters fresh and encourages creative problem solving in a way few JRPGs ever bother to. Best of all, Undertale tells a story I hadn’t heard before, a story that unfolds in drastically different ways based on not only overt player decisions but on the little choices made moment to moment and battle to battle. It feels a little odd to extol a game I can only talk about in the most obnoxiously vague ways - especially a game I’m calling my favorite of 2015. But lemme tell ya, in the most obnoxious way I can, man you gotta play it. Gems like Undertale don’t come around every day - or even every year. There were, of course, a lot of games I missed last year, but I thought it worth mentioning those I played after originally deciding on this Top 10 that probably would’ve made the cut had I gotten to them sooner. SOMA is flawed as hell - I got so tired of its “boss” sequences breaking the flow of the story that I used a fan mod to alter their behavior - but it’s nonetheless an enthralling piece of existential horror that’s stuck in my brain for months since my playthrough. One about which I’ve got a lot more thoughts to share here one of these days. I played Dark Souls II on console back in 2014, and I only ultimately jumped into Dark Souls II: Scholar of the First Sin on PC this year to co-op through with a friend. It’s a great update to an already great game that, while failing to measure up to Dark Souls or Bloodborne as a complete world and narrative, stands nonetheless a head above every other action RPG out there. Divinity: Original Sin: Enhanced Edition is also both an update to a 2014 title and a fantastic co-op RPG, one that I haven’t yet had the time to give the attention it deserves. I’d also love to spend a lot more time with the brilliant systems of tactical espionage RPG-ish thing Invisible Inc. before rendering a final verdict. Keep Talking and Nobody Explodes is the brain-bending party game to end all brain-bending party games, and I only wish I’d discovered it sooner. Labels: Game of the Year 2015 , Here At the End of All Things , High Octane Nightmare Fuel , Valar Morghulis , What R U Casul? © 2011-2016 Caleb Wimble. Powered by Blogger.